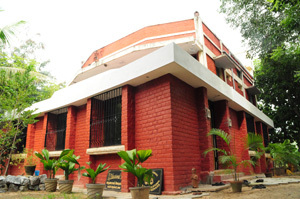 The CM Centre (short for the Chella Meenakshi Centre for Educational research and Services) provides a range of educational services, from Tamil language tutorials to research assistance, facilitation and academic counsel in Madurai. The centre also carries out its own research projects, mainly in the field of folklore, religious, pedagogical, ethnographic and (cross) cultural studies. A few other areas of interest are public health, indigenous medicine, sustainable development, institutional structures, corporate social responsibility and other disciplines in humanities. United States-India Educational Foundation was established as a bi-national agency under the Indo-U.S. bilateral agreement of February 2, 1950. The agency is responsible for administering the Fullbright-Nehru and other Fullbright fellowship programs for Indian and American citizens. With the new agreement signed between the Governments of India and the US, to strengthen educational exchanges between the two countries, India and the United States are now equal partners for the Fullbright Program in India. 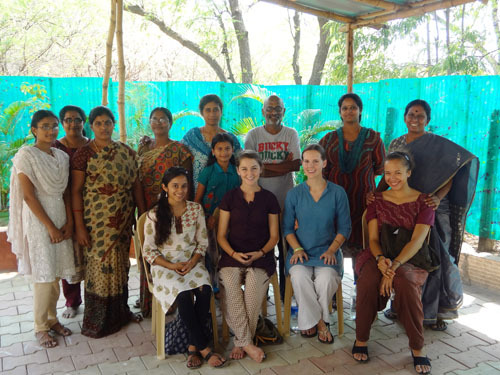 Fullbright-Nehru English Teaching Assistantship was introduced in India in 2009-10. The program duration is of nine months and a group of English Teaching Assistants (ETAs) get placed in different states in India. For the Madurai chapter of the USIEF Fullbright-Nehru English Teaching Assistantship, Chella Meenakshi Centre is responsible for administering the programme and facilitating the students placement as per the agreed directives of USIEF. They are also arranging 30 hours of English Language Teaching Training for the English Teaching Assistants to equip them with the skills required for assisting in an Indian classroom. CM Centre has been working since 2010 in documenting the trends in Murugan worship and the constantly growing pilgrim centers across the globe, especially in Tamil peopled nations. CM Centre did the spade work for the documentary. The work commenced from Thirvappudaiyar Temple, a Siva Shrine on the banks of Vaigai and completed it on the shores of the Indian Ocean, at Tirucendur Murugan Temple. The Centre is currently producing a film on Temple towers of South India. Housing the Centre's extensive library and computer facilities, the new building, which incorporates historic architectural features, is now complete. CM Centre has published a coffee-table book about Madurai featuring the photographic images of Naveen Sekar and the text of the Centre's Rohini Rajasekaran. Click here for a review of the book in The Hindu.